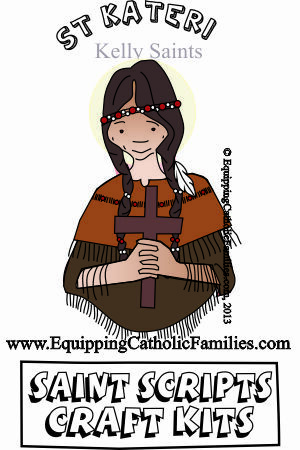 Excerpts from A Treasure Chest of Traditions for Catholic Families , various posts at Equipping Catholic Families and our Saint Scripts Craft Kits (Series ONE and TWO). 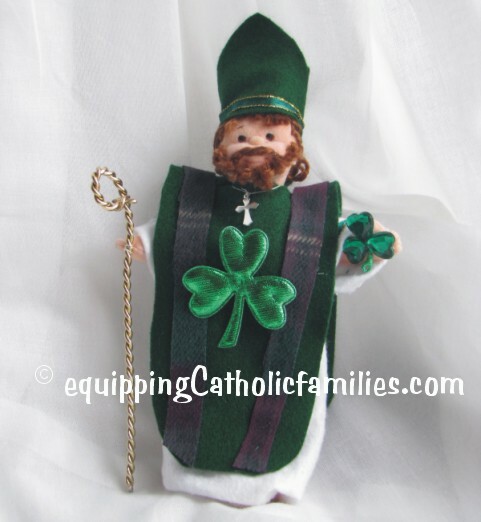 St. Patrick was taken to Ireland as a slave and his faith grew. He escaped, went home to Britain, became a priest and then bishop. 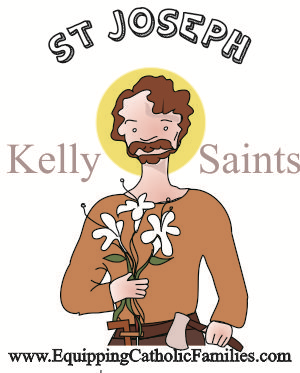 He returned to Ireland, preaching and converting many people, using the shamrock to explain the Trinity. 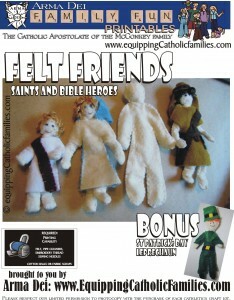 A few years ago, we transformed a couple TY dolls to be Saints. 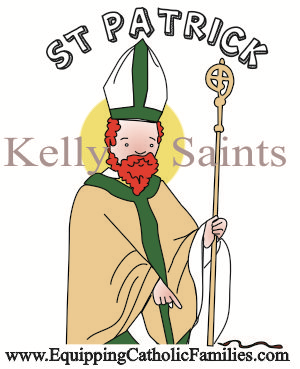 Here is St. Patrick! 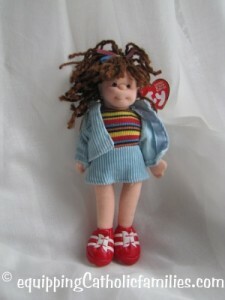 …and this is what the TY doll for St Patrick looked like with Bridget playing with him. Apparently, his crozier helps him fly. 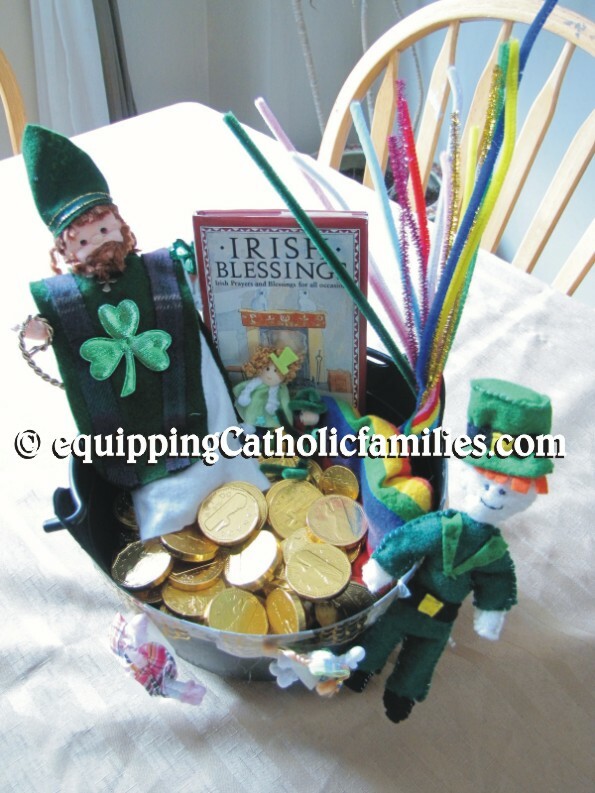 St. Patrick is probably one of the most celebrated saints…even though like St. Valentine’s Day, the actual saint may get a little displaced by leprechauns and rainbows, pots of gold and all things Irish. 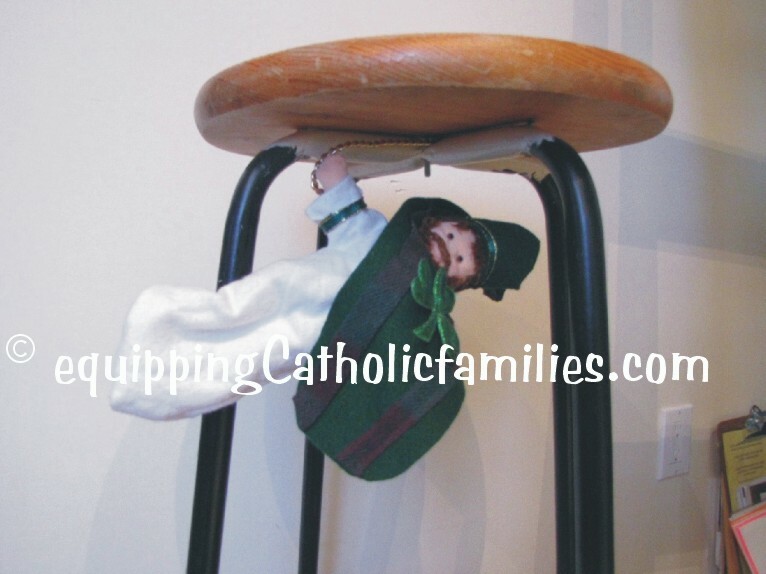 We like to always remember the origin of these special Saints days, but we’ve been known to indulge in a little of the Irish fun as well. 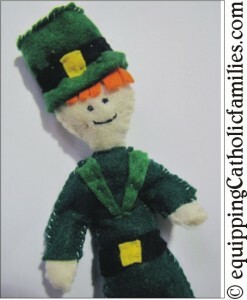 Last year we created our own little family leprechaun using the Felt Friends Tutorial! It’s FREE with the code for subscribers! St Patrick taught about the Trinity using a simple shamrock. 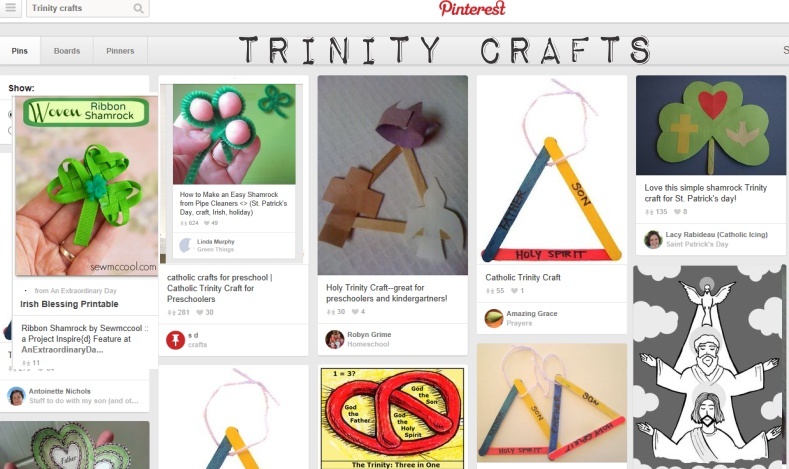 Search “Trinity Crafts” on Pinterest to teach the Trinity in fun new ways! 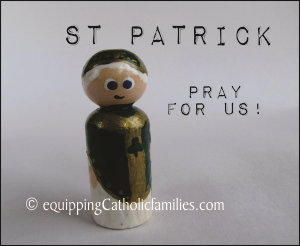 See our little St Patrick Wooden Painted Saint? Are wooden painted saints have been known to appear in Lego castles and the Fisher Price Playhouse…and Snakes and Ladders! 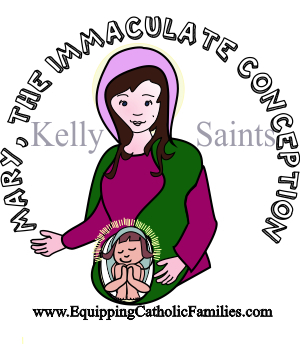 They make awesome little cake decorations for Patron Saint Feast Days! 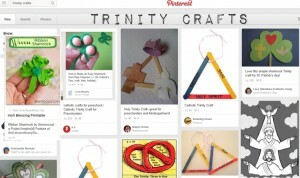 You’ll find our tutorial to make them at Equipping Catholic Families and TWO Kelly Saints Cathedrals to make for the Wooden Painted Saints to hang out in!